At NeoGenesis, we are in the business of providing skin care and hair care products that enhance people’s quality of life by returning their skin and hair to glowing health. Our commitment to enhancing the quality of life of our clients extends beyond what we think of as normal changes to the skin and hair through the aging process. One of our true passions is serving the Oncology Community. Many of our products are rated oncology safe and may be used to assist in the healing of almost any type of traumatized skin, including Chemo Burns, Radiation Dermatitis, Shingles and wounds from accidents. Helping people look and feel better is our passion. The better people feel, the better their lives are in every area. The possibilities excite us as a team. We would like to introduce you to the incredible Geralyn O’Brien, a Licensed Esthetician and Oncology-Focused Skin Care Professional. 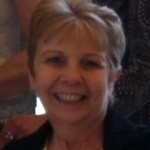 Geralyn shares our passion supporting those who are undergoing cancer treatments. She is a cancer survivor and has a deep understanding of how life-saving cancer treatments and medicines can seriously damage the skin. As a volunteer with the American Cancer Society, Geralyn discovered that many of the questions she received were about safe, effective skin care and make-up products. The skin of the women receiving treatments was becoming very damaged and sensitive and the advice they received on how to care for their skin did little to help the problem. In many cases, the skin continued to worsen. This was unacceptable to Geralyn and she is changing that by helping those cancer patients find the proper products and lifestyle choices to bring much needed healing and relief. Geralyn has written a powerful and inspirational article we encourage everyone to read. 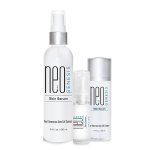 She takes us through a case study of a cancer client who received NeoGenesis products to heal her severe Radiation Dermatitis with beautiful results. An interview with Dr. Greg Maguire follows where he discusses what goes into developing effective and safe skin care products for oncology patients. Please enjoy the entire article at Integrative Cancer Review. For Licensed Professionals who have a desire to be a part of the community of Oncology skin care, please visit the following link to learn more about Oncology Spa Solutions. OSS has been educating spa, salon and medical professionals since 2013 and is now the #1 choice in the US for Oncology training. Their goal is to ensure that all spa professionals can safely, compassionately and confidently care for their clients when they are experiencing cancer and the side effects of treatments. We believe that a cancer patient is in a unique medical situation as a human being – needing to be cared for with love and respect.